This is an echo of something I wrote in 2011. If you are in a plan view, when you open a new floor plan view (any "plan" view) Revit will attempt to respect what you were just looking at in the previous view. For example, if you zoom in to look at a specific room or door family and then open a floor plan for another level, Revit will open the new view zoomed to the same area of the model (but on the other level). As another example you might have two floor plans, one for furniture and one without. If you are looking at the furniture plan, zoomed in to see a single room and then open the other floor plan for the same floor you'll find Revit opens that new view focused on the same place. If you are in the habit of closing hidden windows then this can be quite effective as you transition from one plan to another. This is sadly, painfully, frustratingly NOT our experience, most of the time. 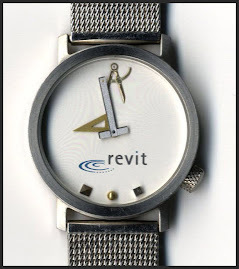 There have been cases where revit is smart enough to open a new view to focus on the same location that's in the current view, but usually the new view opens somewhere outside of the crop region, presenting the operator with a blank screen. It may be related to parent views with dependent views. It has caused us to submit a request for automatic 'zoom to extents' whenever we open a view, but since we don't own 5% or more of autodesk's shares, they will not listen to us. As soon as you have linked models, files, cropped boundaries, scope boxes, dependent views, the "rules" change a bit as you describe. The rules aren't. It's also easy to forget that other views are open which may affect how the code interprets the action. It may just shut off if there are too many variables. It isn't a question of not listening to you or your shares. It is just a matter of signal to noise ratio. There are many more of us than them and we are all yelling at them to give us what we want. This works well in the floor plans. What I'm having troubles with is wanting newly opened RCP to match the overall floor plan view but it zooms to extents. I've tried it in reverse also, having the RCP open and then opening a new overall floor plan and it zooms to extents.